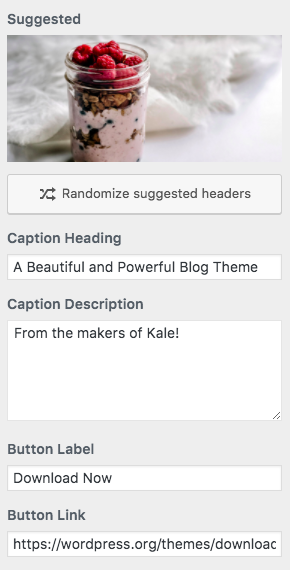 Set up a banner under Appearance > Header Image. This will show up as a banner at the top of the home page. Click here to view a demo of the banner. You can enter a heading and description. There's also an option to add a button (you can specify the label and the URL) below the description.